Sligo Gardai refuse to set foot in town’s garda station. Gardai in Sligo are refusing to enter the local station describing the premises as a health and safety hazard. A spokesman said they had taken the action over “overcrowding” and “unsafe” conditions in the building. Recently Minister for Justice Charlie Flanagan reached out to Sligo-based TD Marc MacSharry to help in progressing the speedy development of a new garda headquarters in the town. 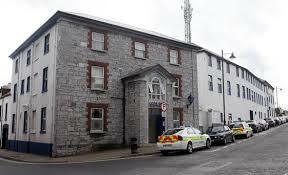 As of this morning the 101 strong garda team are working out of an “an emergency control room” off site on the town’s Chapel Street. The spokesman insisted that today’s move was “not a protest. “Every member that’s due to work this morning is working, every patrol car will be out, every call will be answered,” he stressed. Previous Post‘Shut your gob and grow up’ – British Sun ‘advice’ to Taoiseach on BrexitNext PostBroadband for rural dwellers to be ‘hot desks’ in community centres?